New World Library, 9781608685219, 280pp. When women are empowered with money, they become "difference makers." They transform not only their own lives but also those of their children, their families, and their communities at large. Author Meriflor Toneatto, an award-winning leadership and coaching executive, shows you how to extend your limits and create the life of your dreams, one that is rich and fulfilling in every way -- financially, spiritually, and emotionally. 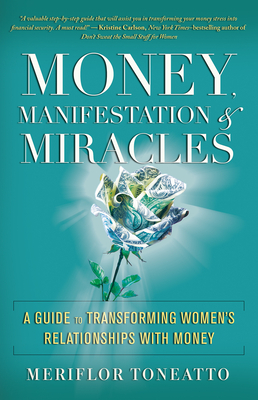 This powerful book explains how money is "emotional currency" and prescribes eight Holistic Principles that help you overcome deep-seated blocks, "pay forward" your own successes, and live the life of your dreams. Meriflor Toneatto is a professional coach, speaker, and entrepreneur. She is the CEO and founder of Power With Soul and creator of the Millionaire Difference Makers(TM) Path, specializing in helping ambitious women entrepreneurs, professionals, and leaders reach financial prosperity and success while fulfilling their social promise in the world. She lives in Toronto, Canada.